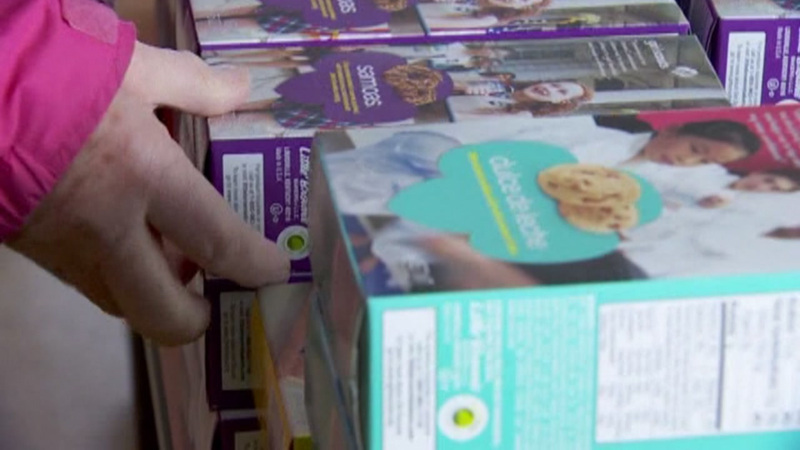 UNION CITY, Calif. (KGO) -- Union City police are looking for a suspect in a brazen Girl Scout cookie armed robbery. Investigators say a young man approached a mother and her 12-year-old daughter who were selling cookies at a Safeway store on Decoto Road in Union City on Wednesday. He asked a couple of questions, and left only to return minutes later to allegedly display a gun and take an undisclosed amount of cash from the cookie sales. On Thursday, a Union City Police Department sergeant presented a check for a $1,000 to the mother in order to make up for the lost cash and purchase her daughter's remaining cookies.